Jeremy Hyam of 1 Crown Office Row acted for Save Lewisham Hospital Campaign. He was not involved in the writing of this post. It takes a bit of time to close a hospital or make major changes to it. This is because you must go through a complicated set of consultations with all those likely to be affected before action can be taken. Many, if not most, people say this is a good thing, and Parliament has embedded these duties of consultation in the law. 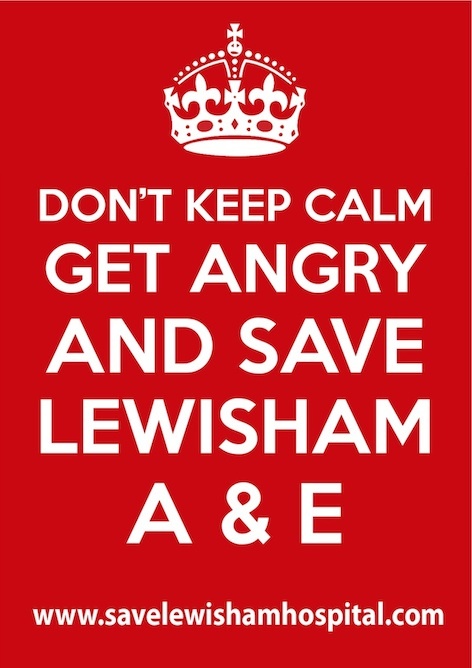 In this case, the Department of Health said it could close the A&E Department of Lewisham Hospital, as well as limiting maternity services to midwives alone and reducing paediatric services – without going through the formal consultation process. The Borough of Lewisham, and a local campaigning group, said that the DoH had no power in law to do this. The judge, Silber J, agreed with them, and so now does the Court of Appeal. It dismissed Jeremy Hunt’s appeal 10 days ago, and published its reasons today. If Mr Grayling has his way, it seems unlikely that the Save Lewisham Hospital Campaign would have had “standing” to bring this claim, however meritorious in law it may have been: see my post on this. I dare say this lesson will not be lost on him, though, sadly, many think that such wins against the government make it more rather than less likely that he will implement his changes to the rules in judicial review. And the problem here for the DoH was that the trust into which the TSA was parachuted was not the Lewisham Trust (which was not failing), but the South London Healthcare NHS Trust (SLHT), which ran three other hospitals in South London. So a short point of statutory construction. The Borough and Save Lewisham Hospital said that the trust “in relation to” which action could be recommended was only the trust into which the TSA had been parachuted. So the TSA of SLHT could not make recommendations in respect of another trust which did not have a TSA. To do so, said the other parties, would drive a coach and horses through the consultation provisions elsewhere in the Act. As I have said, both courts agreed with this argument. On the face of it, the answer is pretty easy. If the Act had intended the TSA to have a roving brief in respect of other trusts, it would have said so, and would not have have used the words it did – “the trust”. So we can leave at home a lot of the anti-judge rhetoric that government often uses when it gets told off by the courts. The case is nothing to do with unelected judges imposing over-legalistic values upon the ordinary people of this country. By contrast, the TSA and/or DoH tried to take a highly suspect short-cut because it suited its interests to do so, got caught, and now has to take the steps it wants to take in a lawful way. And that is what the courts are for – to make sure that government plays by the rules, not just the ones which suit it. Equally, if government wants to speed up hospital reorganisation, then it has to change the law through Parliament, and cope with any political flak which results. I find myself with a strange conflict of interests here. I am a constituent in Epsom and Ewell and Chris Grayling is our local MP. He does a fantastic job here protecting our best interests including (pending) saving Epsom Hospital’s A&E and assorted other vital departments and local services. Is he not an instrument of parliamentary law and not the maker of it? He will regret it though when he’s back in opposition. Evidently that IS lost on him. Ideological and short sighted as ever.